We offer beautiful, customizable manufactured homes at an affordable price to our customers in Goshen, all of Northern Indiana and also in Southern Michigan. We are a full-service builder, meaning that we take care of everything from foundations to garages, and all things in between. 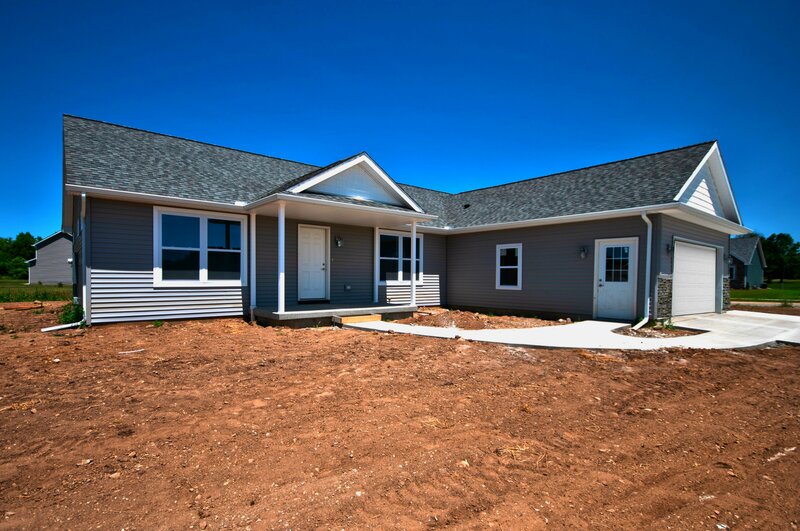 DO YOU BUILD MANUFACTURED HOMES IN GOSHEN, INDIANA? Our standard service area includes anything within 50 miles of Goshen, Indiana. However, under certain circumstances, we can extend that to communities that lie outside that circle. 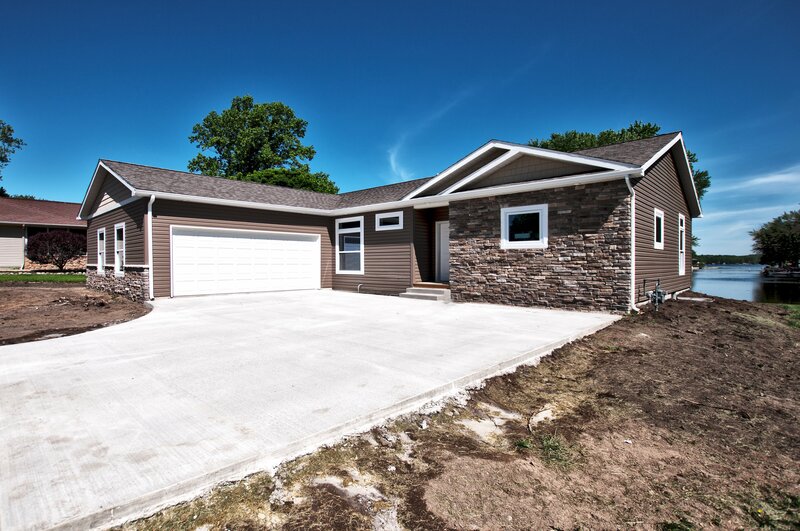 If you wish to build outside our typical service area, just give us a call, and we can discuss whether or not it’s feasible for us to set one of our manufactured homes on your property. In Indiana, we service Northern Indiana and North West Indiana, and we build Manufactured Homes in North East Indiana. In Michigan, we typically build manufactured homes in South West Michigan, South Michigan, and some of South East Michigan. The pricing on our website includes 1) the HOME itself (built to our standard specifications), 2) home SALES TAX, 3) DELIVERY to your lot within 75 miles of our location, and 4) SETTING* the home on your foundation and completing the interior and exterior FINISH WORK after setting. *There is an allowance of up to $3,000 in crane fees. Anything over will incur an extra charge, but this does not often happen in our immediate local area. Also, the pictures and artists renditions you see on our website along with the floorplans typically show optional home upgrades, garages, porches and other things (such as landscaping and driveways) that will need to be priced out in addition to the modular home sale price. We price these on a case by case basis. WHAT TYPE OF UPGRADES DO YOU OFFER? The pictures and elevation drawings you see on our website often show finishes and items that are optional and priced separately from the home price listed. Please contact us for a complete list of standard specifications for your home. Please Note: Unless explicitly noted in the description, the 2nd floor of our Cape Cod Modular Homes will come as unfinished attic space for the price shown (Two-Story modular homes always come finished upstairs). For all homes, the HVAC system (Furnace and A/C), home foundation, garages, porches, Major Utility Connections, electric service and hookup, and gas service and piping hookup are priced separately on a case-by-case basis. HOW LONG DOES IT TAKE TO BUILD MY CUSTOM MANUFACTURED HOME? You can usually move into your home within 90 to 120 days. For custom manufactured homes built in Indiana and Michigan, the time frame is usually 90 to 120 days. This countdown starts on the date we place your home order at the manufacturing plant. For an all cash purchase, we order your home as soon as we have a finalized list of home options and your down payment. For a bank financed construction loan, we request the house as soon as the bank closes your construction loan and authorizes us to place the order. CAN YOU BUILD ME A GARAGE OR A BASEMENT? Yes! We are a full-service dealer and general contractor; we can build whatever you want. As an Indiana licensed general contractor specializing in new and custom residential stick-built manufactured homes, we also handle every other aspect of the building project, including obtaining building permits, clearing the lot, constructing the foundation, digging the well and septic system, building garages/porches/decks, and anything else you need us to do. 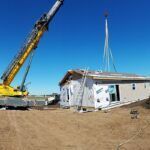 We help our clients obtain financing for their new custom prefab homes by putting you in touch with some of the best financing options around. Next Modular works with many local Indiana banks who are eager to help you build the manufactured home of your dreams. 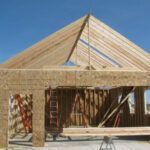 To build a new home, you will most likely need to secure a construction loan. Please see our blog Post “Construction loans – How do I get one?” for a detailed explanation on how to get a construction loan and how it works. If you are unable to obtain a construction loan or are interested in other loan options (such as FHA or VA loans), give us a call, and we can walk you through the process.